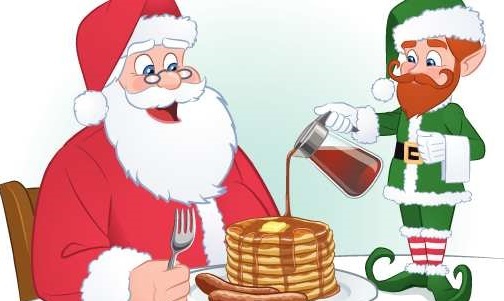 The South Creek Lions will be holding their 5th annual Breakfast with Santa on Sunday, Dec. 9 from 7 to 10 am. The menu includes pancakes, bacon, sausage, ham, eggs. Adult meals are $8, and children under 12 eat for free. Santa will be on hand for the kids from 8 to 10 am, bring your camera.